Yay! Community review time! 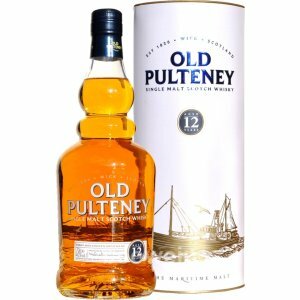 I was quite excited to try out the Old Pulteney 12, as enough reviews have pass me by without the bottle being available. Good news everyone! My local bar had a bottle! Okay, there is a harsh artificial lemon at first that just erupts from this dram. It eventually relaxes into a salty, floral, vegetal smell, which is nice, though that ugly fake lemon smell sticks around like a mouse covered in Old Dutch. Fascinating taste on this one. It’s mostly lemon, though there’s more of that vegetal/earthy mix and some sweetness. Somewhat dry. Finish: Sour cream, vitamin C caplets, mushrooms, rapini, cocoa, cilantro.